So, you know that CDC advisory about ladies, pregnancy, and drinking? A lot of people were really upset by it, largely because they found it condescending/severe. ...because drinking while pregnant can cause some really awful damage to a fetus, even as early as 3 weeks into a pregnancy, which is usually before people trying to have babies even know if they're pregnant. So, to reduce the risk of harming a potential human, don't do stuff that could hurt it, like drinking (or drugs or smoking, for that matter). They're bad for a fetus, mmkay? This is regardless if you're contributing an egg or sperm to the equation. Alternatively, if you don't want to give up alcohol while trying for a baby, you can also take an at home pregnancy test if you're uncertain as to your preggo status before drinking. ...not looking to have babies? 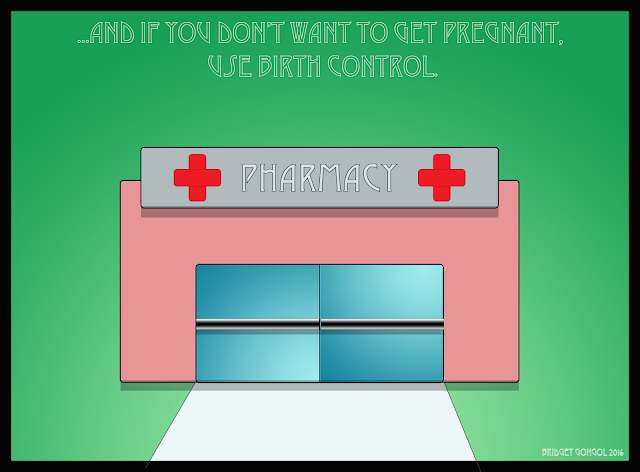 There are lots of options to prevent pregnancy. Take your pick. But let's be clear: it isn't up to just one person or partner or gender to have a safe pregnancy, nor is it just up to one person or partner or gender to prevent unwanted pregnancy. 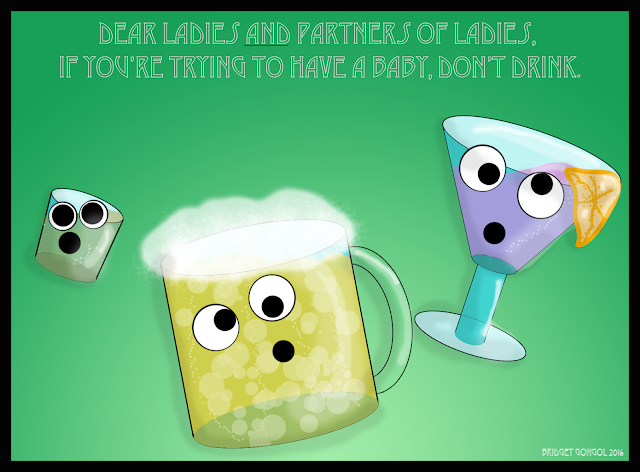 Labels: cartoon, CDC infographic, drinking, fetal alcohol syndrome, pharmacy, there i fixed it.